Putting up a privacy fence can be an expensive undertaking. However, if you select the right materials and build the fence yourself, you'll end up saving quite a bit on this backyard upgrade. ImproveNet estimates an average of $7 to $15 per foot for just materials for a six-foot privacy fence, so if you come in less than $7, you're doing great! Wood, for the most part, will be your cheapest option per foot when compared to vinyl and composite fencing. However, it all depends on the type of wood and fence design you select. However, lumber prices can fluctuate greatly depending on market conditions, so it's best to call or visit your local lumberyard for accurate pricing. 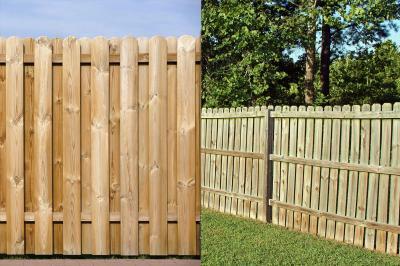 The type of wood you choose makes a significant difference in the cost of your privacy fence. Treated pine is the most affordable and durable wood option, with HomeAdvisor estimating approximately $1 to $5 per linear foot for a 6-foot tall privacy fence board. Pressure treated pine will be more durable than regular pine over time, so it is a good value even though it costs a bit more. According to Fixr, cedar, redwood, and other hardwoods will be more expensive than pine, adding approximately 20% to 50% in material costs to a fencing project. When building your wooden fence, you may be debating between board-on-board and side-by-side. The cheapest option is to do side-by-side fencing. Board-on-board is where the boards overlap, so you'll need more boards per foot for best coverage and most privacy. Side-by-side fencing, while not as private (you'll need to leave a small gap between boards), requires fewer pieces of lumber. 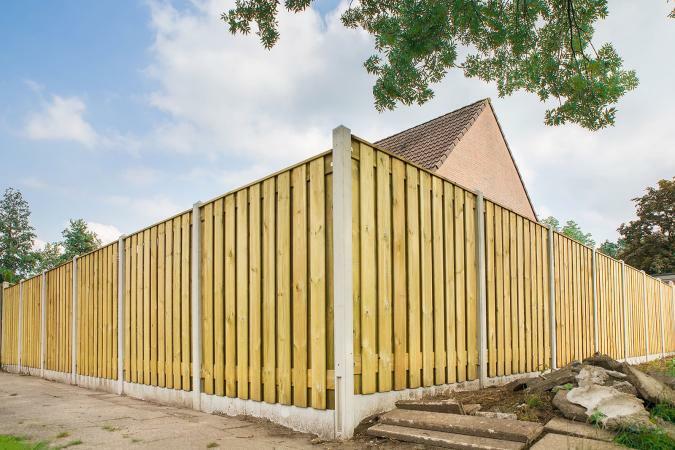 While the cost of the boards necessary to build a wooden fence can be significantly cheaper than the materials for other types of fences, there are additional costs to consider. Installation - Installing a fence involves expenses beyond just the materials. If you're not experienced with DIY wooden fence installation, you'll need to hire a professional installer. RemodelingExpense estimates the cost of a professionally installed wood privacy fence to be between $22 and $40 per linear foot. If you decide to install the fence yourself, you will still need to have the right tools on hand, which will cost money if you don't already own them. You'll also need to purchase screws and other hardware. Aesthetics - Keeping the fence looking nice over the years will require labor and materials for staining, weather treatment, and paint. Repair costs - Boards can break, split, and warp, leading to a need for costly repairs. 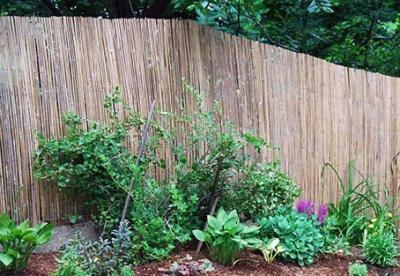 Bamboo is an up-and-coming option for fencing material. It's fairly weather-proof and comes in at a very reasonable price. ImproveNet notes that bamboo fencing can cost around $3 to $5 per foot for the fencing materials themselves. If you want the basic style installed, RemodelingExpense indicates you might pay closer to $9 to $14 per foot. For people not familiar with fencing installation and DIY projects, installation costs should be factored in. Available in rolls - Bamboo fencing is often purchased by the roll. Therefore, you'll need to figure out the price per foot to compare it to other options in your area. May need additional supports - Some people add additional posts and support materials to bamboo to make it a more sturdy option for privacy fencing. Going green - Bamboo is considered a green building material, so bamboo can be a great option for people who want to use sustainable materials. A traditional chain link fence is a cheap way to enclose your yard, but offers no privacy. 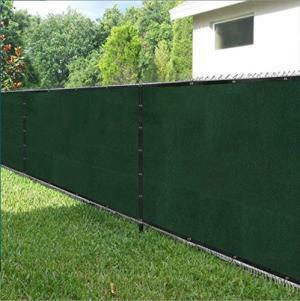 However, you can purchase privacy fabric or slats to add to a chain link fence to create a more secluded area. The chain link fence itself is likely sold in rolls by the foot and cost anywhere from $30 to $100 for a 50-foot roll (60 cents to $2 per feet), depending on the height of the fence, plus additional costs for posts and hardware (just like other options). To make the fence private, you'll need to purchase privacy fabric or slats. Slats can run approximately $50 for about 10 linear feet and fabric is about the same price. That said, the costs will vary depending on the store where you purchase them, the materials and brand selected, and any deals or specials. If you're not familiar with fencing, you should hire a professional installer to put the fence up, which will add to the expense. While chain link fences are cheap to put up, they offer little privacy without adding slats or fabric. Slats will help bridge the gap but leave small spaces exposed. Fabric can cover the entire fence but may not hold up to as much wear and tear. Neither option is as aesthetically pleasing as a wood or bamboo fence, but the overall cost will likely be significantly lower. If you're fencing in your yard but cost is a consideration, keep an eye on wood prices, consider bamboo, or go with a chain link fence that includes privacy options. Regardless of which option you choose, learning to install your own fence through a weekend clinic or DIY seminar can help you save you a significant amount of money.